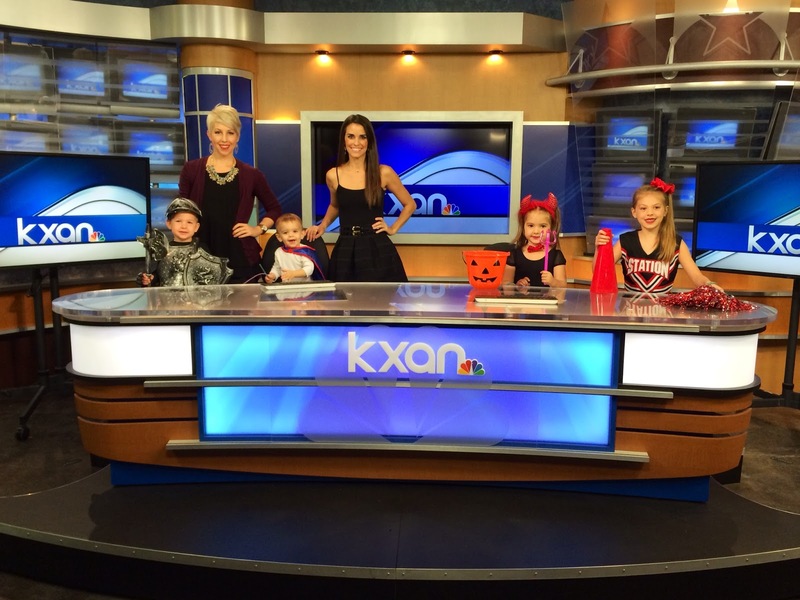 Last week, my kids (minus Riley because she was in school) and I headed up to our local NBC affiliate to showoff some cheap and easy costumes with Austin Moms Blog. 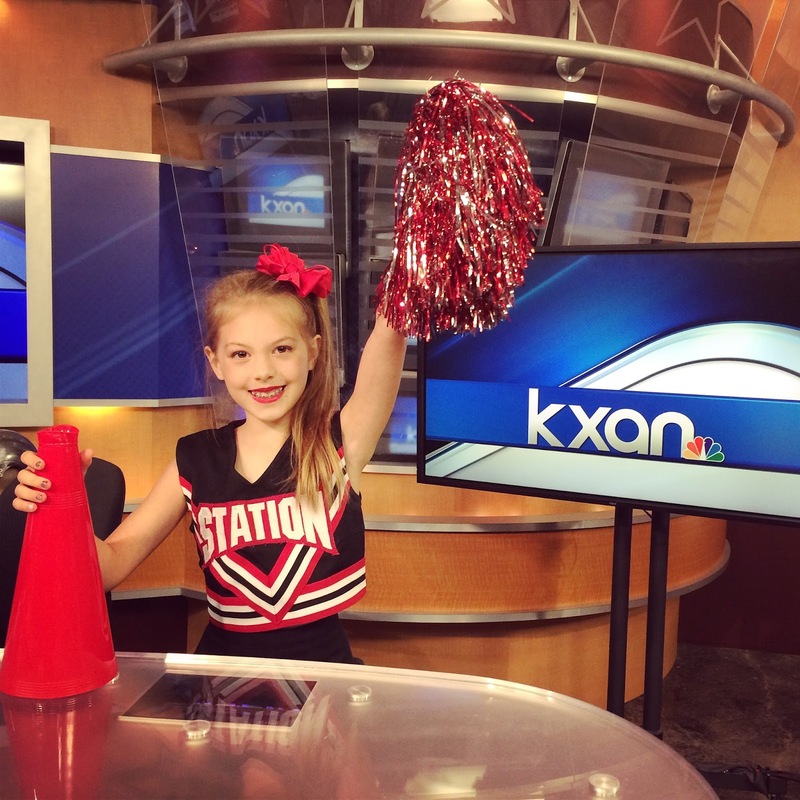 Thankfully my kids behaved and it was neat for them to see the "behind the scenes" of what really goes happens in T.V. Our costumes are still up in the air for tonight (it's T minus 4 hours! 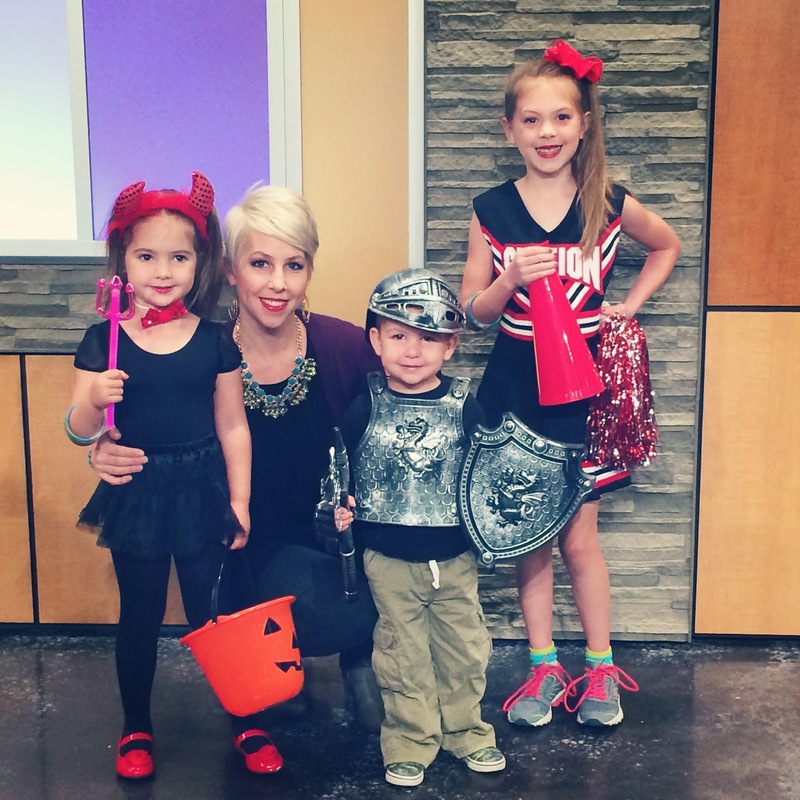 ), so your bet is as good as mine when I post Halloween pics next week....but in the spirit of costumes, let's just have my little cheerleader, knight, and devil suffice for now. I'm sure we'll throw an Elsa in there just to keep it original and unique...you know because NO ONE will think of that costume this year. HAPPY HALLOWEEN and SAFE TRICK-OR-TREATING!!!!!! !